Chinese and Germans are among dozens of investors taking Ukraine up on its offer to turn the grounds of one of the world’s worst nuclear disasters into a massive solar park. Thirteen international investors are among the 39 groups seeking Ukraine permission to install about 2 gigawatts of solar panels inside the radioactive exclusion zone surrounding the defunct Chernobyl nuclear plant, according to Minister of Ecology and Natural Resources Ostap Semerak. Two gigawatts is almost the capacity of two modern nuclear reactors, although atomic power unlike solar works day and night. 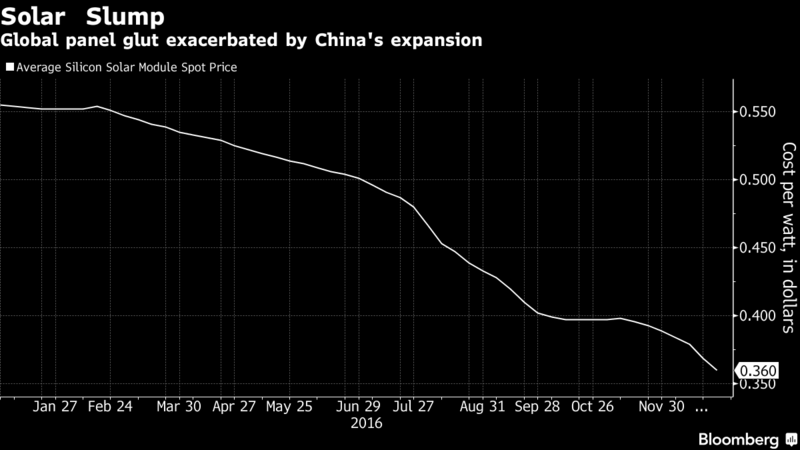 Solar manufacturers led by China’s Trina Solar Ltd. are probably selling at a loss after prices fell to a record low this week. The global spot market price for solar panels fell 2.4 percent to an average of 36 cents a watt on Dec. 28, according to PVinsights. Complete with 6,000 solar panels, Mineirão is the first World Cup stadium ever powered by solar energy. The plant’s installed capacity of 1,600 megawatts-hour per year (1.4 MW) is enough to power 1,200 households, according to the Brazilian federal government’s World Cup website. 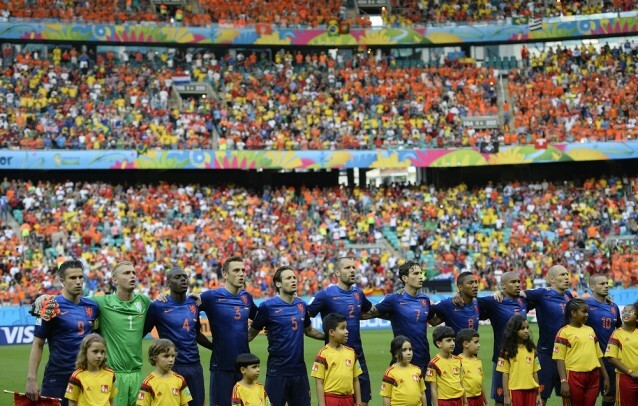 While initial goals included fitting all 12 of the event’s stadiums with solar photovoltaic (PV) panels or some other form of green energy, ultimately, only a few could be completed in time. 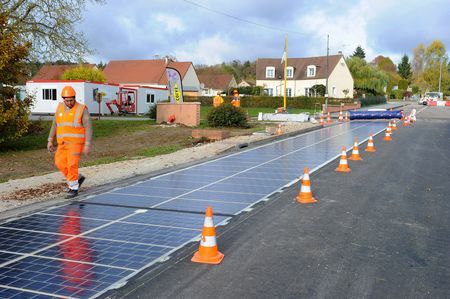 The International Energy Agency says solar energy – a combination of solar PV and concentrated solar thermal with storage – is likely to become the dominant source of energy across the world, accounting for more than 27 per cent of all electricity produced by 2050. Solar developers around the world will install record capacity this year as a thriving Chinese market drives growth, a Bloomberg survey showed as manufacturers in the $102 billion industry began to return to profit. About 44.5 gigawatts will be added globally, a 20.9 percent increase on last year’s new installations, according to the average estimate of nine analysts and companies. That’s equal to the output of about 10 atomic reactors. Last year new capacity rose by 20.3 percent, after a 4.4 percent gain in 2012. 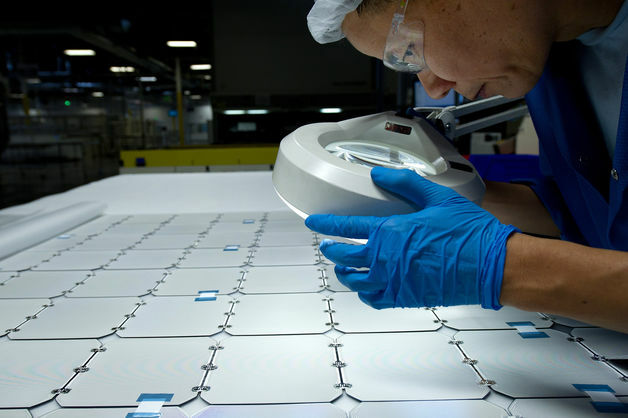 2013 looks like it was the year that the Sun started shining on the solar industry. 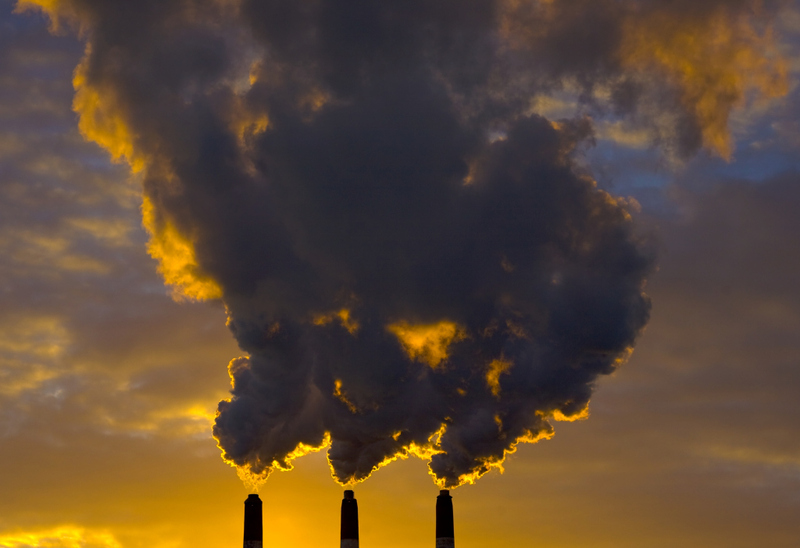 Bitcoin had a dark side ,which was its carbon footprint. SolarCoin is a currency backed by the solar power industry (which is backed globally by the United Nations). SolarCoin is an alternative digital currency for better life. Spend it, trade it, exchange it. Each SolarCoin represents one MWh of solar energy generated. 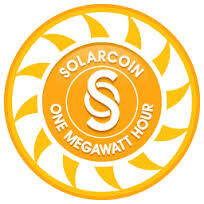 SolarCoin rewards solar energy generators both large and small. Use Solarcoin. Join the solar power movement. SolarCoin holders help produce 97,500 TWh. SolarCoin wallet software is open source. SolarCoin circulation is community governed by the SolarCoin Foundation. 99% of SolarCoins will go to solar energy generators over the next 40 years. Let’s see what the central bankers and politicians think about this one. 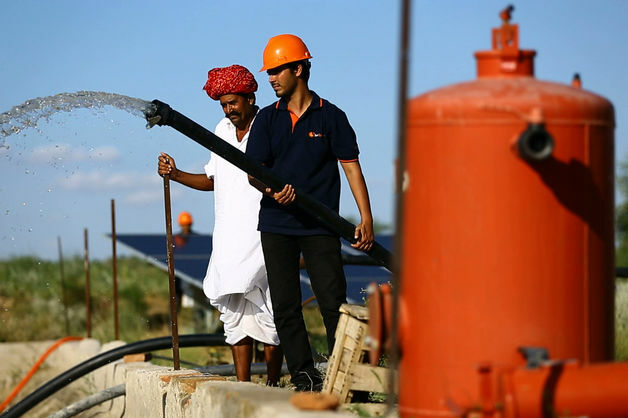 India has a novel idea: Wean farmers from archaic power lines and expensive diesel fuel to run their water pumps with solar energy. Great idea. It will reduce the country’s trade deficit on oil and reduce food prices. It also means the economic barrier of obsolete power lines is avoided. 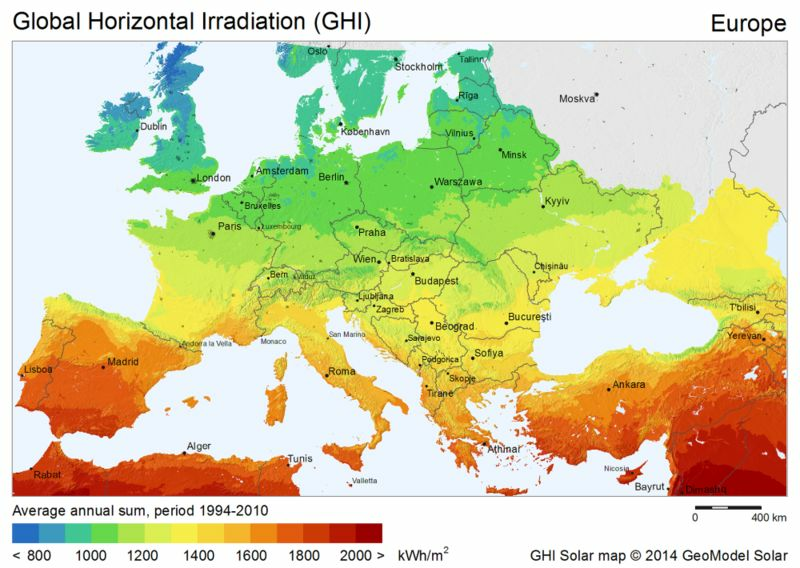 Germany would be the first European country to penalize the self-consumption of solar energy, something only Arizona has done so far. Spain is also working on a similar plan to ensure small solar power generators, which reduce total grid users, help pay for network costs. As many as a dozen U.S. states are also considering charges for solar rooftop owners. Germany’s “Energiewende” economic policy aims to make clean energy pay its way, in terms of helping to balance the budget, rather than to just live off taxpayer-funded subsidies. 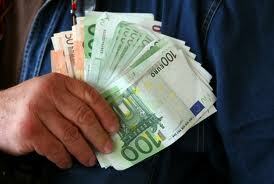 There is no free-lunch for clean energy providers in Germany.